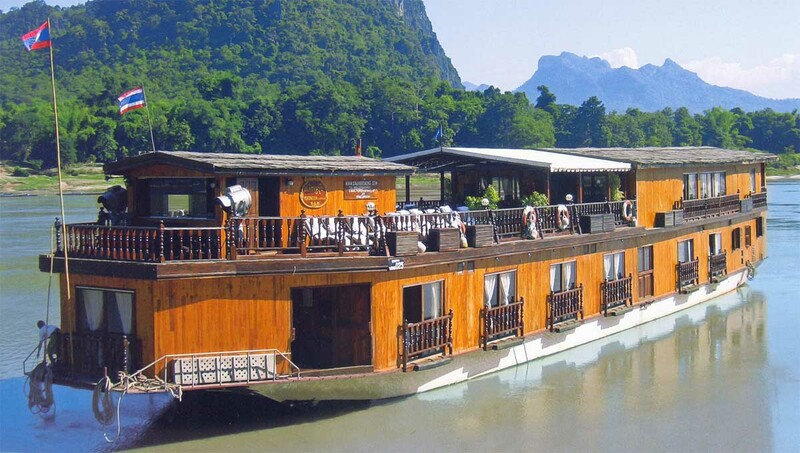 Active Travel has released its 2011-2012 Great Riverboat Journeys brochure with a comprehensive selection of cruises and cruise packages featuring the Irrawaddy, Chindwin, Ganges, Brahmaputra and Mekong rivers. The specialist Asian cruise operator reports an increase in enquiries for the upper Mekong, running between Thailand and Laos, perhaps as a reaction to the increasing 'busyness' of the popular Siem Reap-Saigon section of the river. Among its wide choice of Mekong options is a 7-day tour showcasing the best of this remote and unspoiled region. Highlights include the UNESCO World Heritage listed town of Luang Prabang, a 5-day cruise on the MV Mekong Sun, the celebrated Pak Ou caves and the Kuang Si waterfalls. Included in the cost is a free night's pre-cruise accommodation in Luang Prabang in a traditional guest house. There are regular departures from July, with prices from E785 (A$1060) per person, twin share. Breakfast is included each day, along with lunch and dinner whilst cruising. The MV Mekong Sun is an intimate teakwood vessel purpose-built for this shallow stretch of the river. Accommodation is in 14 twin-bedded cabins, with ensuite facilities, and there's a restaurant, bar and spacious sundeck. For further information call Active Travel in Sydney (02) 9264 1231 or Canberra (02) 6249 6122.